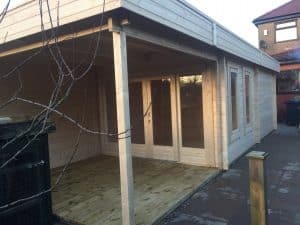 Lucas E with veranda and 3x3m shed annex. 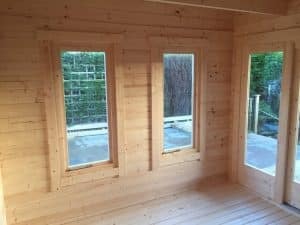 If you are looking at our numerous cabins and designs, then it is good to know that you can always request changes to our standard cabins. 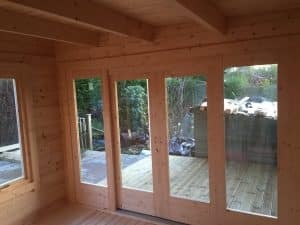 For example, our customer Graham chose our 9m2 Lucas E garden room with 3x3m veranda, but he was also in need of space for garden storage. 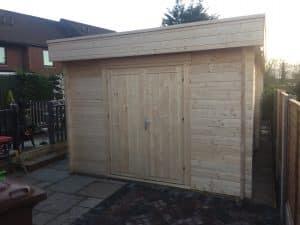 Instead of selling him a garden room and a garden storage shed, we designed a 3x3m shed annex that connects perfectly with the Lucas E garden room. 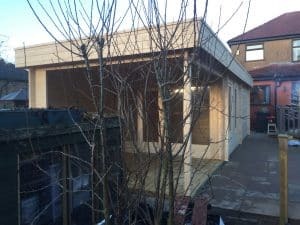 Three shed walls were connected to the main building with H-profiles and the result is a multifunctional 9x3m garden building including garden room, veranda and a large storage room. 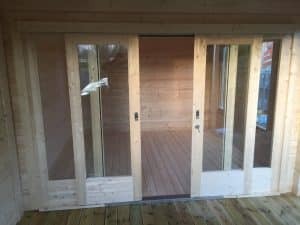 This solution helped our customer to save a little over £500!